Add AirPlay mirroring to any Chromebook. Share and display Chrome device screens wirelessly to receivers like Apple TV and Reflector. Unlike other solutions, AirParrot for Chrome OS allows you to use AirPlay mirroring to share your entire screen—not just a browser tab or specific application. Display Chromebook screens on a number of destinations. AirParrot for Chrome OS uses AirPlay mirroring to send your screen to Apple TV or any computer running Reflector®. Use Quick Connect Codes or the device IP address to connect when multicast traffic isn't supported. Remove restrictions and share the content you want to share. AirParrot for Chrome OS can be purchased in large volumes at a discount, and it's easily deployed across managed Chromebooks. Managing licenses and deployments for AirPlay mirroring has never been easier.  AirParrot for Chrome OS can be purchased in high volume at a discount, and it's easily deployed across managed Chromebooks. Managing licenses and deployments has never been easier. Want to know more? View our FAQ.